The theme this past quarter for Epic Film Project was: Light Leaks. And oh my was it magical and fun! I tried light leaks a few times and loved them. Now I'm adding them to many of my rolls because I love the look and I love the unpredictability to them. 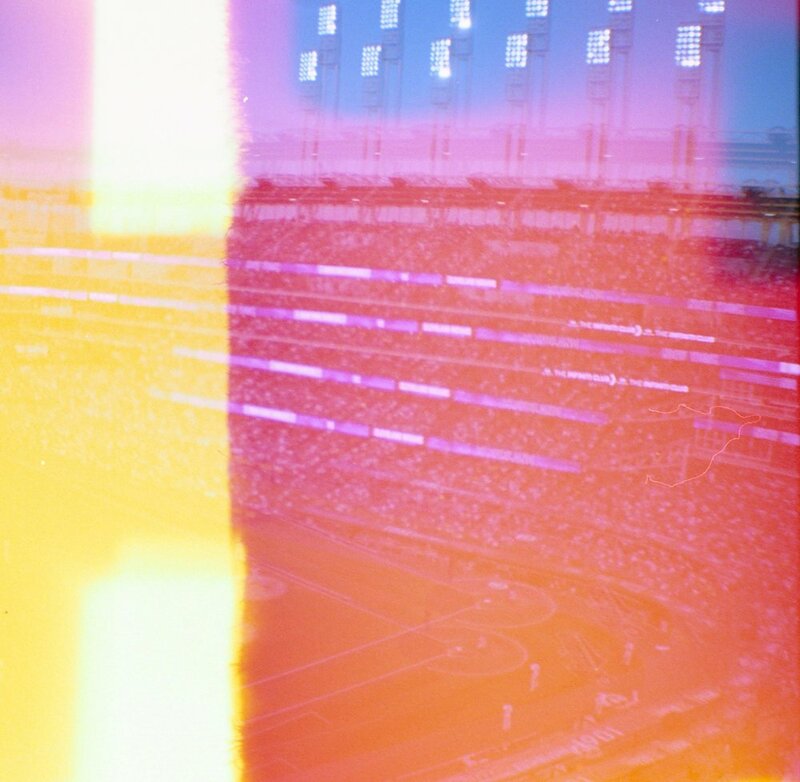 There are a few ways to add intentional light leaks to a roll of film. My favorite way is to randomly open the back of the camera as I'm rewinding the film. Technically, any amount of light to film can "ruin" it. But I always open it in daylight. Indoors or outdoors, but I only crack the door open slightly. The brighter the light and the longer/wider you keep the door open, the more light leaks you'll get. When you’re done shooting the film, rewind and remove from the camera as you normally would. Before you tape it shut, hold it tight in one hand, and with the other, twist it the opposite direction in which it’s closed. This will give little puckers in between the paper of the roll. Then, tighten it back up again and seal it. Again, how much light you do this in will depend on how severe the light leaks are.